Hong Kong-based Briton Tom Robertshaw was a class of his own last weekend in the 100 miles race of HK 168. 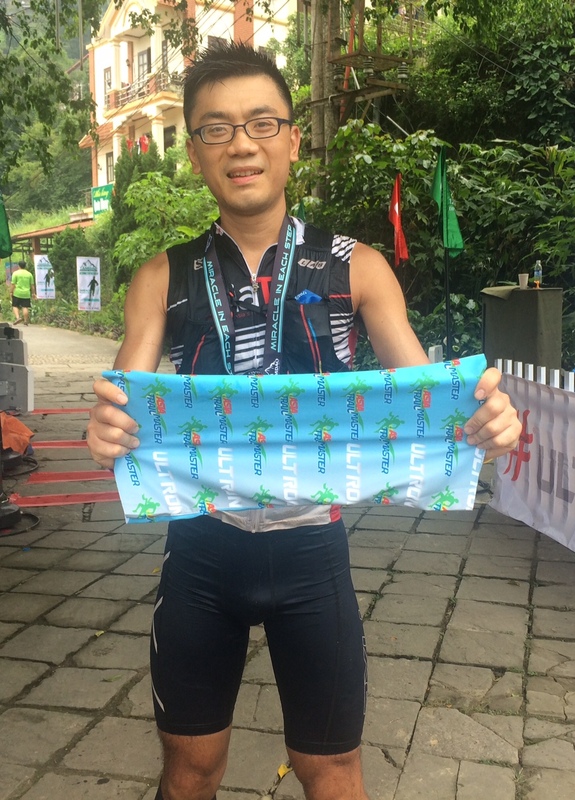 While he initially still somewhat tolerated the nearby presence of Fan Yang and Yanzhong Qin, he gradually began to pull away from the field and finished the race in an astonishing 24 hours and 15 minutes. Remember this was 100 miles. Robertshaw is one those Hong Kong runners who has the potential to grow into a major Asian trail running star, and we certainly hope to see him more often on the Asia Trail Master circuit in 2018. Last year's HK 168 winner and third in the current ATM points ranking, Isaac Yuen Wan Ho, did not have the speed to keep up with the front leaders from the beginning, but he did move up during the race and hauled himself onto the podium in third place behind Fan Yang. For Isaac it means no gains in ranking position, but a higher points total that could cement his top five placing in the 2017 championship. In fact, he is scheduled to race Izu Trail Journey this weekend as well still. To note was the great fourth place, not far behind Isaac, of George Major and fifth place of veteran runner Tze Wan Wong. The women's race was a battle between Habiba Benahmed and Lv Siqing, decided in favour of the former in a great time of 31:47:55. Yuen Kit Shan, who in the past won UTHK twice for women, had third place in sight, but saw fellow Hong Kong runner Charis Chan return and grab the podium place instead. The last weekend of the 2017 Asia Trail Master championship is coming up next and will decide who will be the champions. In the men's four runners are still in the game, while in the women's it's just two and - unfortunately perhaps - if rumours are to be believed the new champion is already a certainly. Stay tuned! After a good run at Echigo Country Trail in Japan last June, Hong Kong's Charis Chan scored a great third place in the women's 100 miles race! Hakuba Trails formally joins the 2018 ATM Championship!